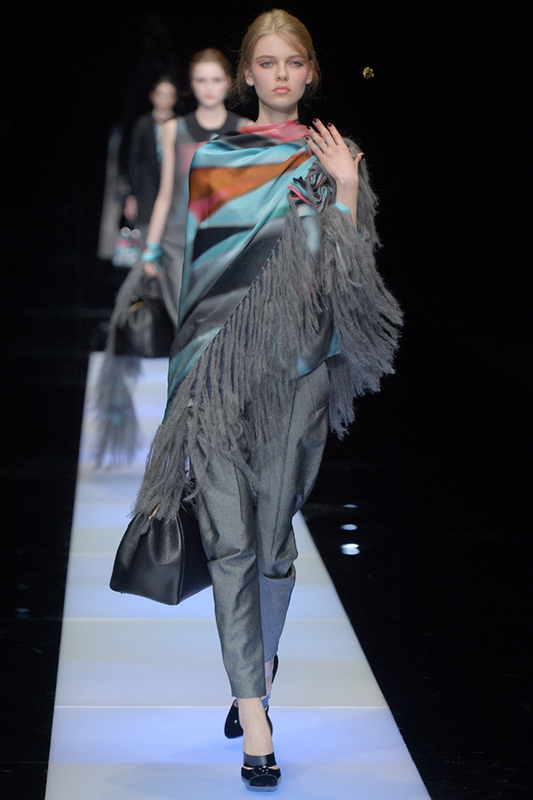 It was blunt talk from a fashion pragmatist. 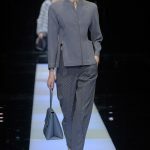 Perhaps Armani’s upcoming 40th anniversary, which he’ll celebrate next month, had him thinking about the basics and how he impacted fashion years ago by giving women a chic uniform of jackets and pants, tailored beautifully but with ease. 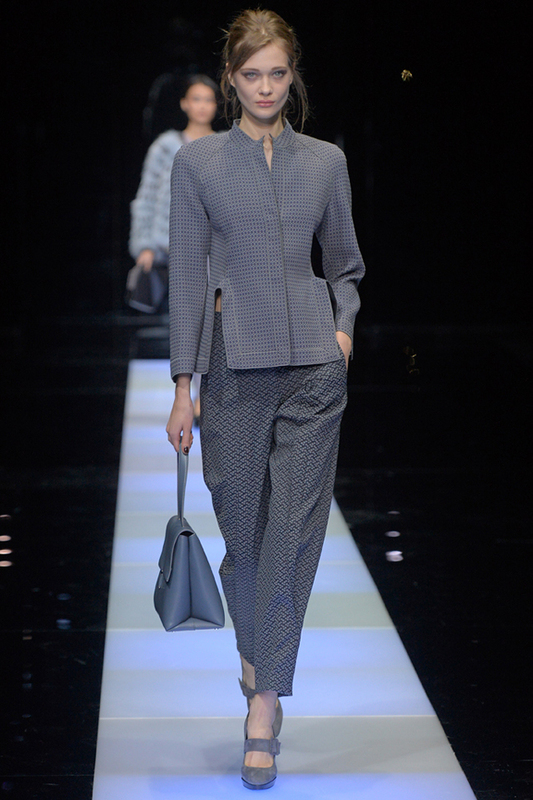 That’s what this collection was — a procession of wardrobe staples of the sort upon which Armani built his reputation and in which he continues to believe deeply. 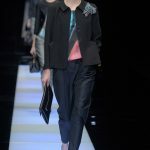 His invitation hinted at a painterly inspiration, and while that definitely took a backseat to the basics, it was where he started: jackets and pants that played a rich, mesmerizing print in blues and fuchsia against black, gray and navy. 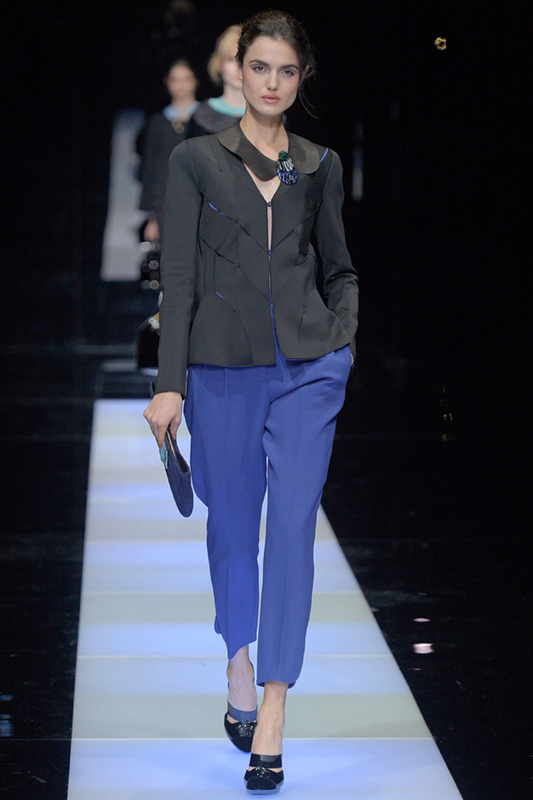 Jackets were lean and nicely shaped; pants, pleated and tapered toward the ankle. 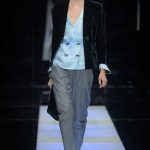 Chagall was the stated inspiration for the colors, and it was an influence that would show up as well in prim “Claudine” collars. 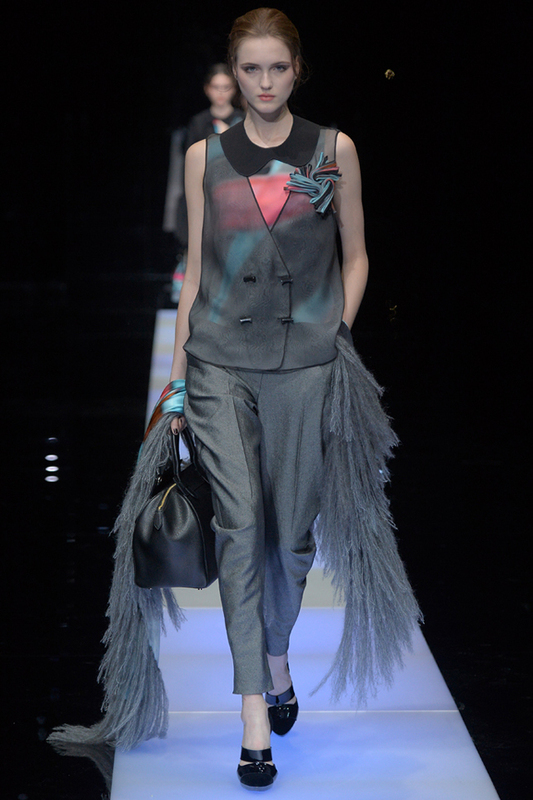 “I saw a painting of a woman with a white collar and I was impressed by its childish and innocent feel,” Armani explained. 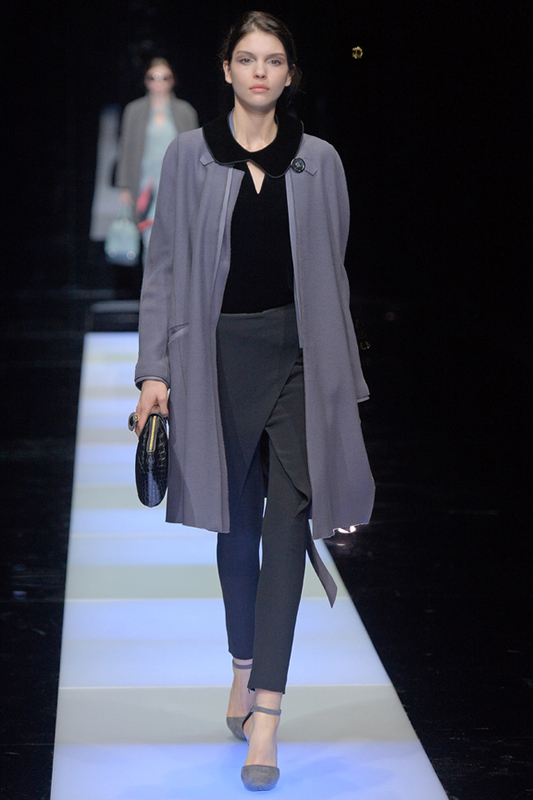 He went through a range of pants looks — and we mean a range, nearly 80 — slim-legged trousers under sweater coats with detached collars; slouchy versions with double-breasted knit blazers, and tie-front pants under fluffy parkas. 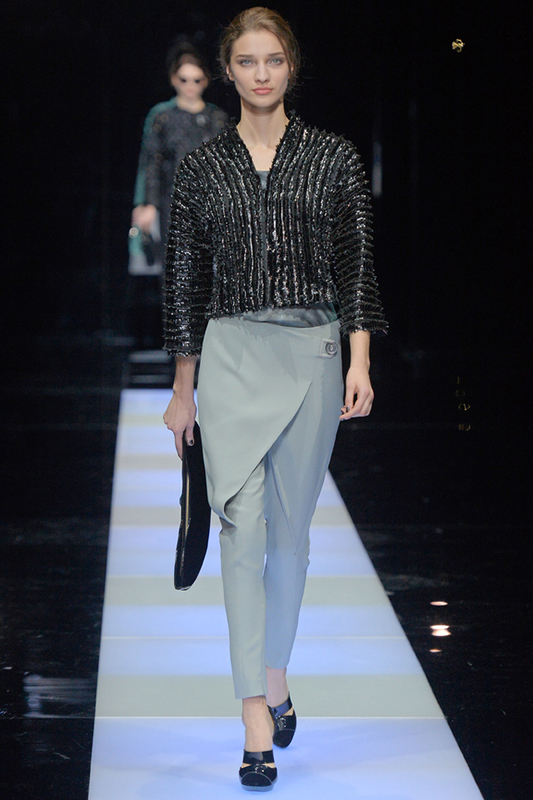 And even in straightforward mode, Armani loves to take a chance, which he did here with pants featuring an out-there attached skirt that crossed to a tulip closure in front. 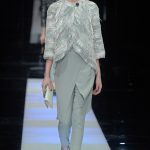 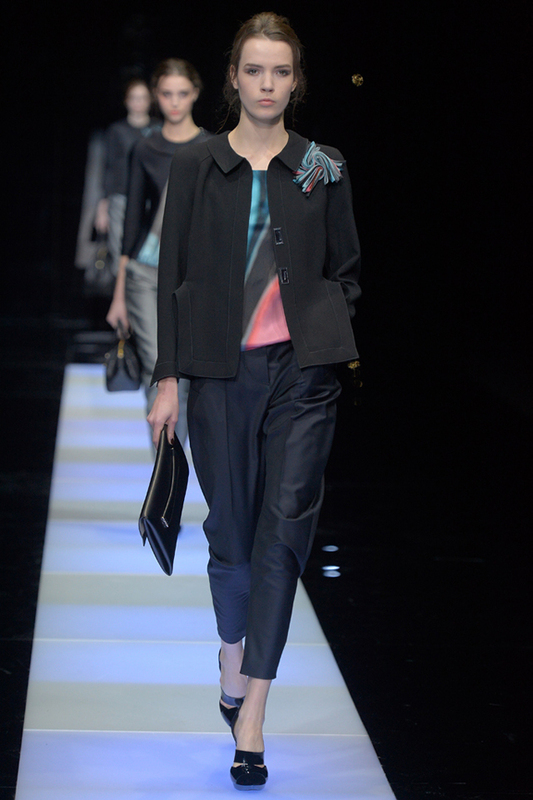 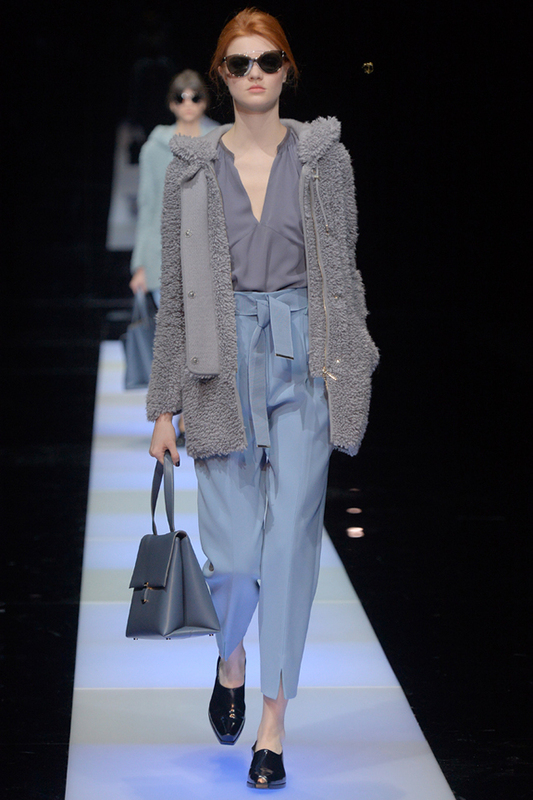 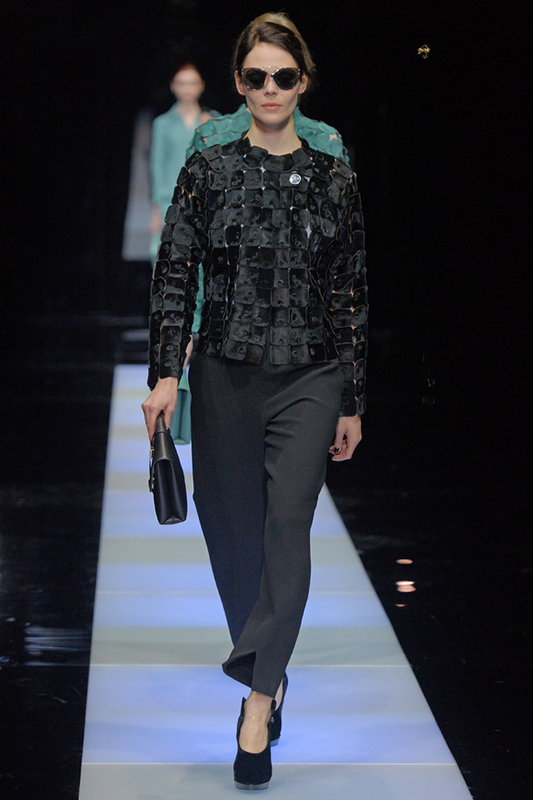 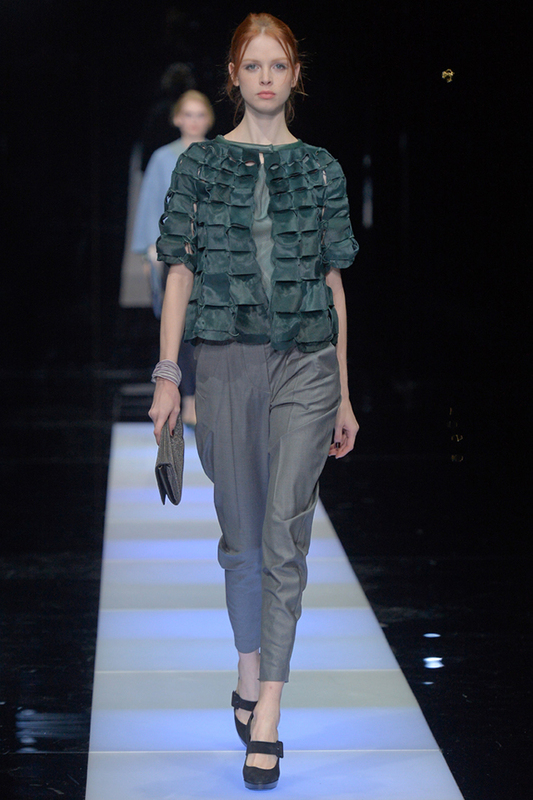 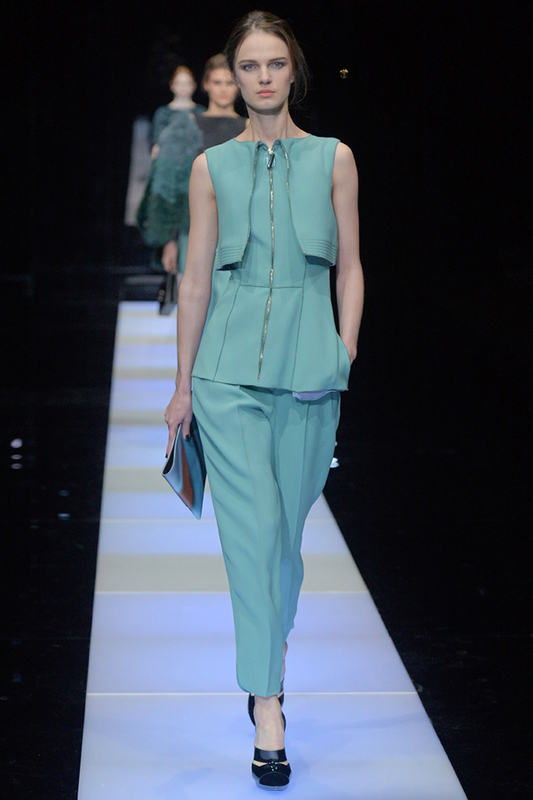 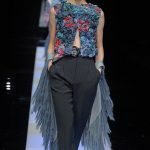 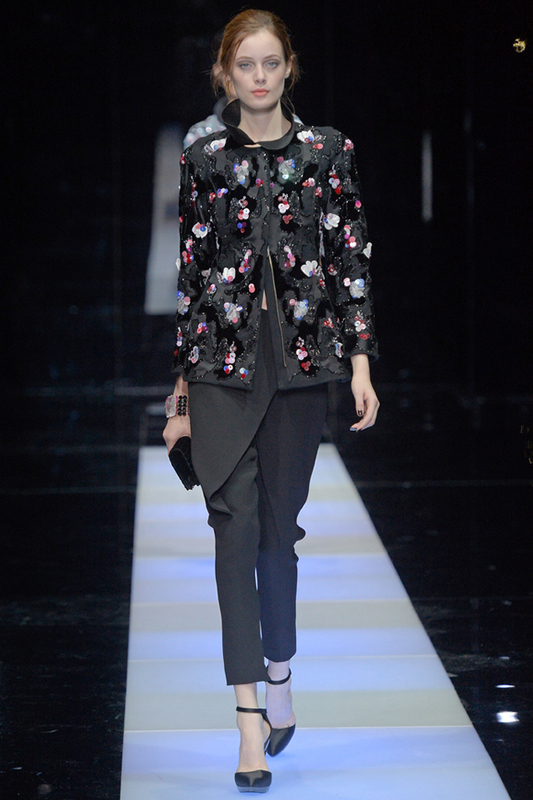 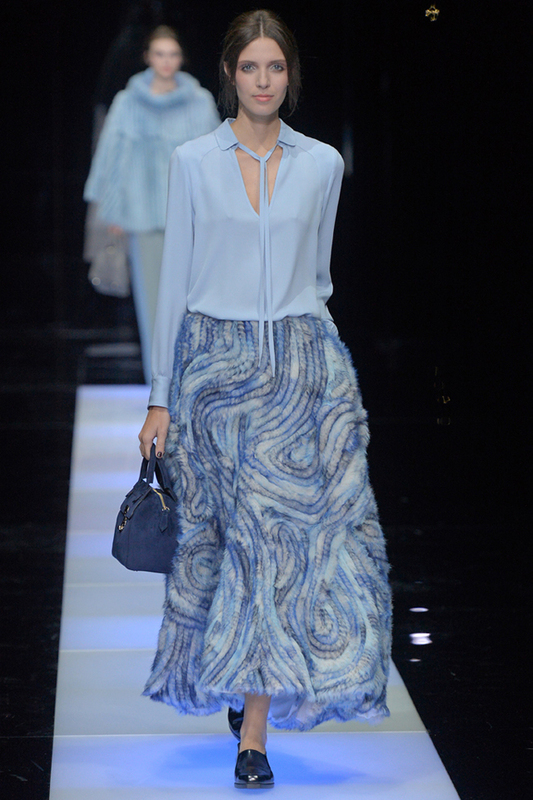 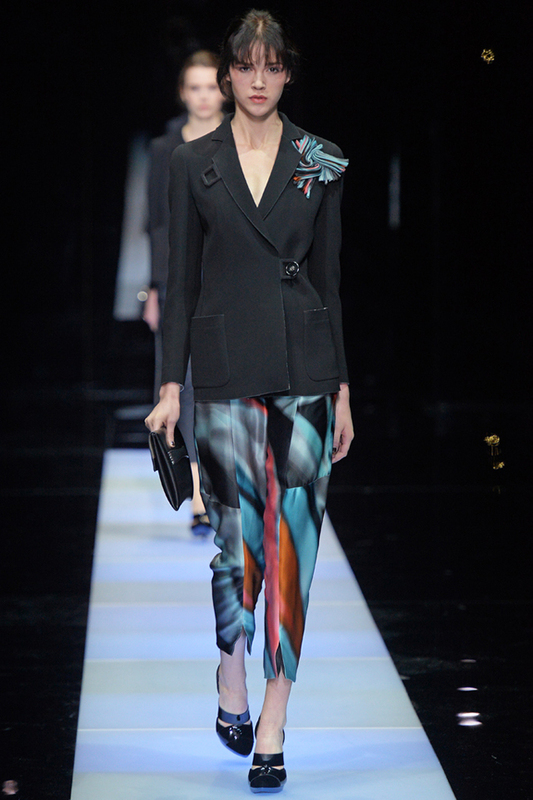 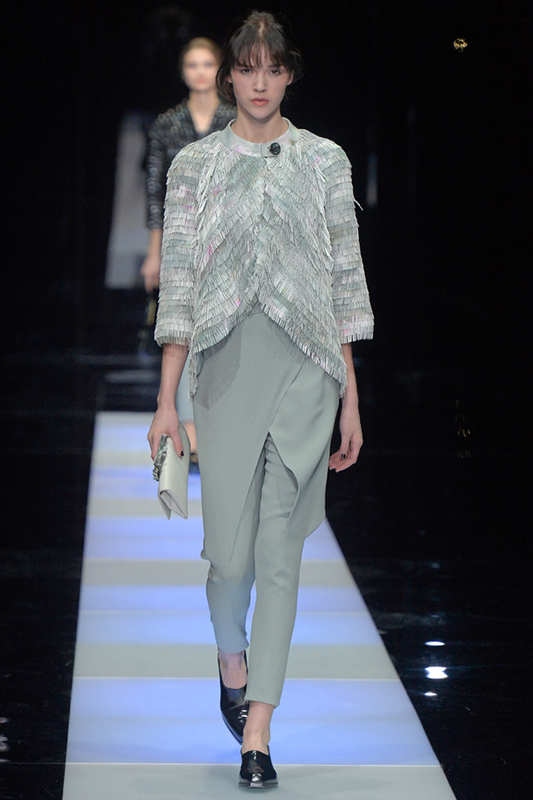 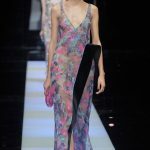 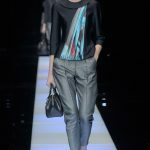 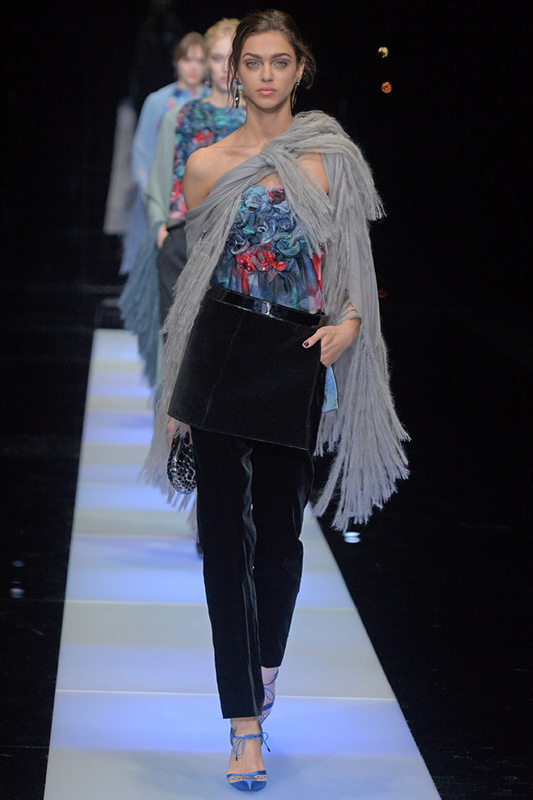 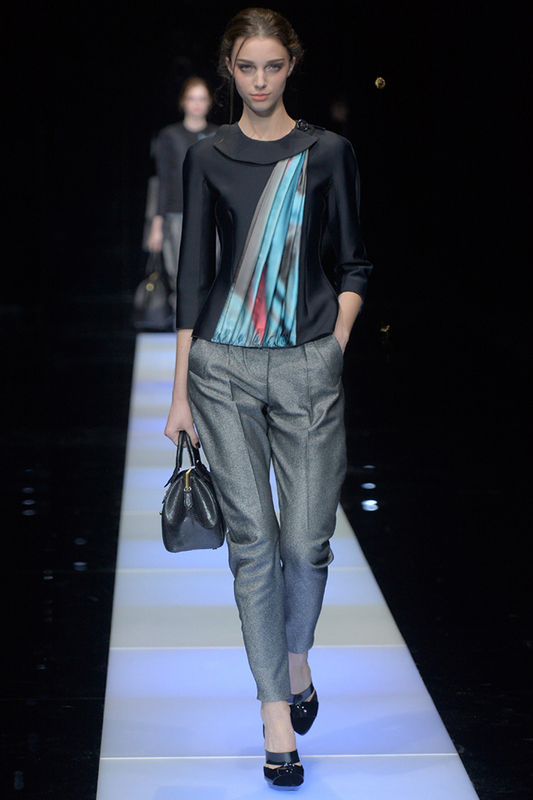 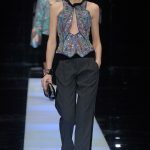 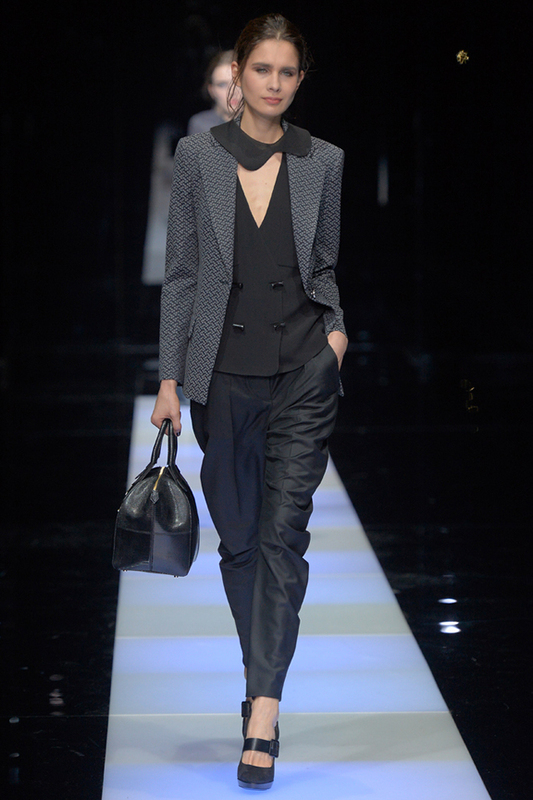 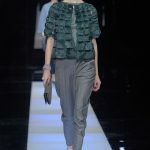 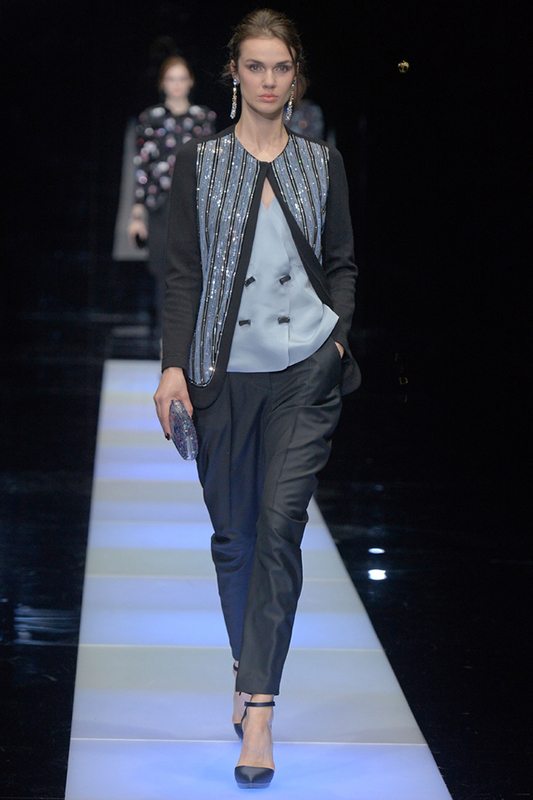 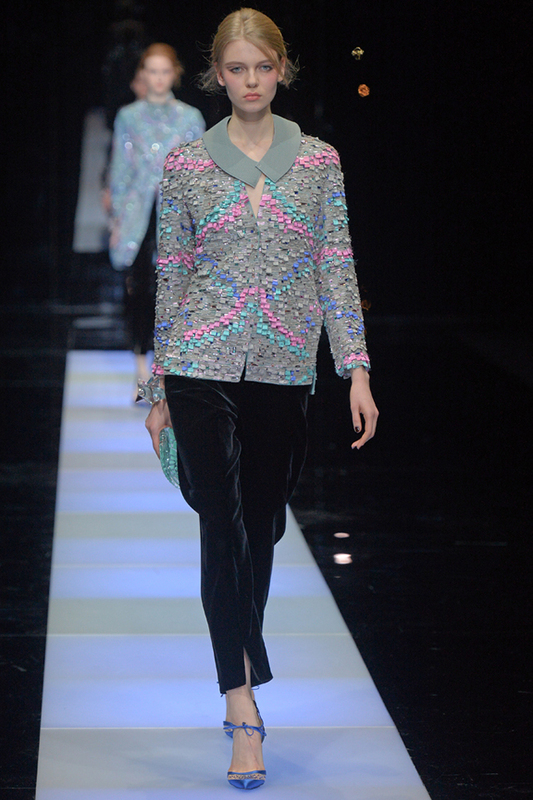 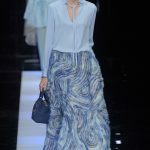 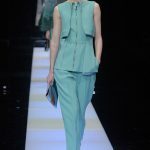 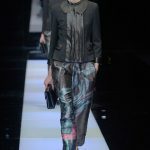 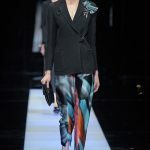 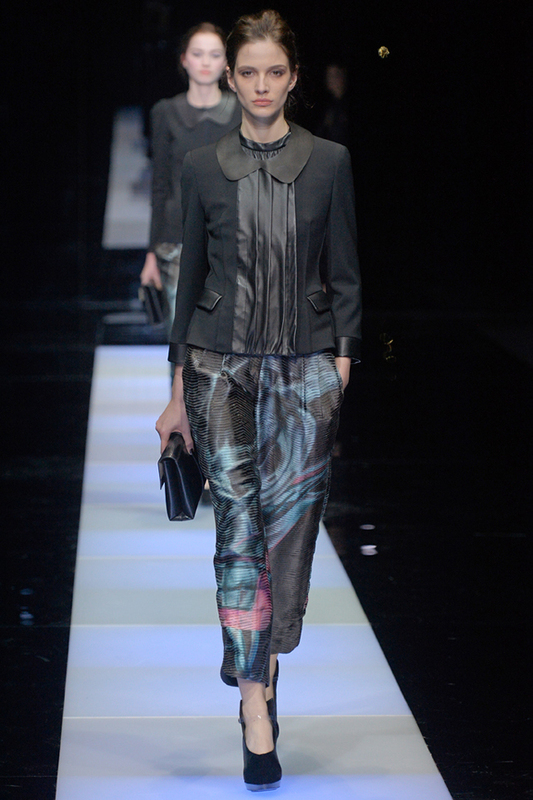 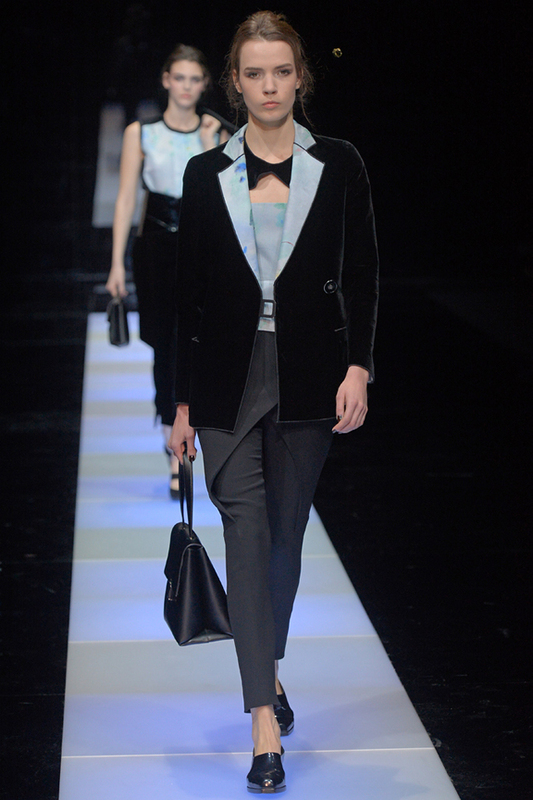 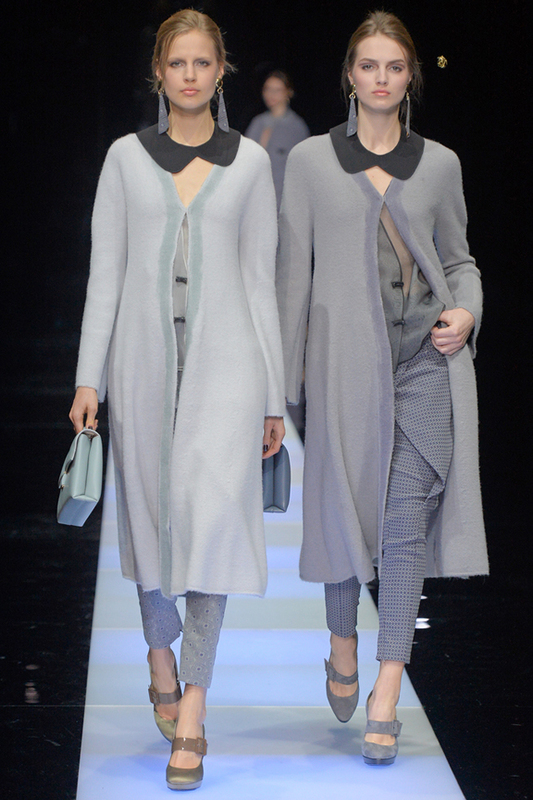 For evening, Armani kept mostly to his motif — black evening pants, worn with embroidered bustiers and lean jackets. 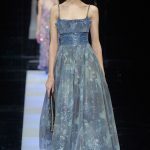 Luckily, he digressed for a moment with some lovely ankle-length gowns, including a pretty crumb-catcher silhouette and two glorious embroidered beauties that could have stepped out of a fairy tale. 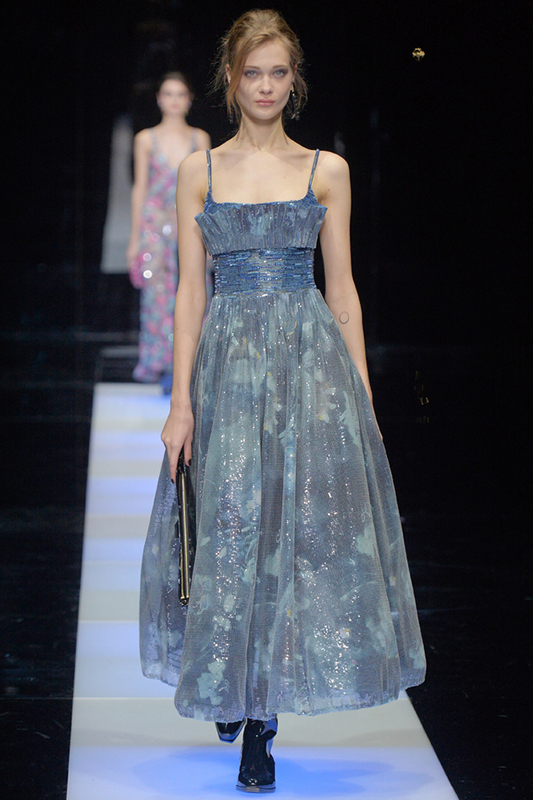 Because deep down, we all want a drop of enchantment with our fashion.